Sadie Blue has been a wife for fifteen days. That's long enough to know she should have never hitched herself to Roy Tupkin, even with the baby. Sadie is desperate to make her own mark on the world, but in remote Appalachia, a ticket out of town is hard to come by, and hope often gets stomped out. When a stranger sweeps into Baines Creek and knocks things off kilter, Sadie finds herself with an unexpected lifeline...if she can just figure out how to use it. This intimate insight into a fiercely proud, tenacious community unfolds through the voices of the forgotten folks of Baines Creek. 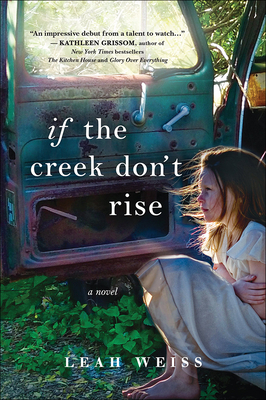 With a colorful cast of characters that each contribute a new perspective, IF THE CREEK DON'T RISE is a debut novel bursting with heart, honesty, and homegrown grit.